Shenzhen HKD Electronic Technology Co., Ltd locate in Shenzhen Bao Anwoerma Square, with convenient transportation and beautiful environment.With the advanced technology ,high quality and competitive prices our company become a professional manufacturer of LCD TV .We gather developing, producing and marketing in our enterprise. In more than 4000sqm workshop,our company has automatic LCD and plasma TV production line nearly 5 and standard multi-function central signal source system.Our main products include LCD monitor,LCD-TV, Digital Photo Frame, Plasma TV,comsumer electronic Home Appliances,Office Supplies Displays, advertising TV, digital photo frame, monitor Etc.The annual output is over 100,000 units.In domestic market,our products cover about twenty provinces and cities ,and set up several marketing centers.For overseas market,the dealers and customers cover Europe, the Middle East, South America, Africa, Lithuania, Brazil, Russia, India Etc,and products are very popular in these markets. To increase the market competency, technology and service team construction has been the focus in the company ,after talent/professional personnel saving,haokaidi is now having a group of professional R&D, system test, quality control. Technical support ,service and management team. “Prestige Quality, customers＇satisfaction” are our quality policy to be carried out. 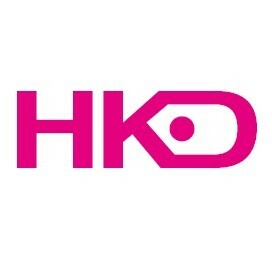 With strict management, strong development capability and perfect quality control, HKD will keep stand in the front line of monitor industry.